Sorry, just a bad joke there, and I promised the boss I wouldn’t turn this into the bad-joke version. 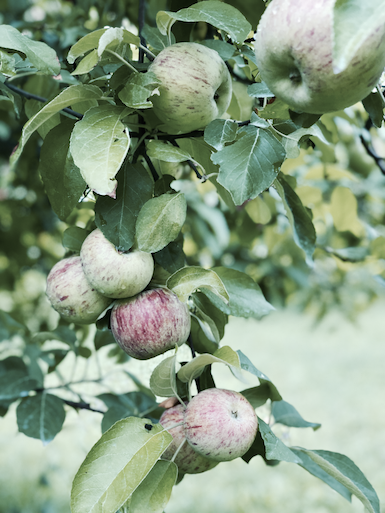 Stephanie (the boss) and I tumbled into the glamorous world of fruit trees about two years ago when we bought the place from our friends David and Claudia Ambrose. Having grown up a stone’s throw away and returning regularly over the years to visit my folks, I had a chance to watch from afar as our neighbors’ care and hard work brought this lovely grove of 300+ trees into being. 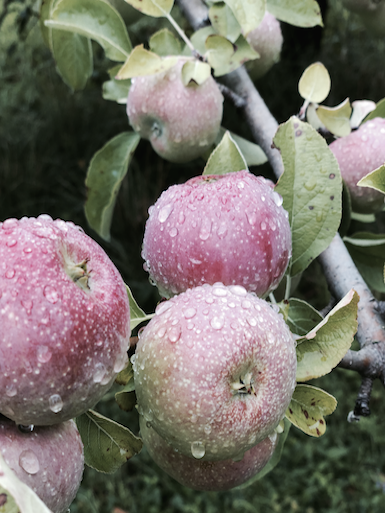 I was first impressed by the scientific precision of the orchard’s layout, later by it’s delicious apples. 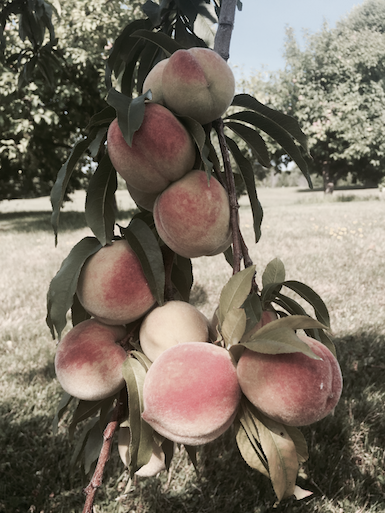 My first taste years ago of the Ambrose’s ripe-on-the-tree peaches was also quite an eye opener. When my family’s longtime neighbors and friends declared their intentions to sell and to spend most of the year down south, Steph and I found ourselves with an unexpected quandary. Deciding it would be sad to see the space go to folks who had no interest in the trees, we were caught by a wave of spontaneity and made an offer. We spent a good part of last year educating ourselves and working to revitalize the trees. This year we are anticipating a much larger yield with more consistent quality across the different varieties. Long story short, we need your help! Most days of the year we pursue our primary occupations, Human Resources consulting for Steph and Production Planning at one of our fine local businesses for me. We shift gears to fruit growing on the weekends, afternoons, and yes, a few vacation days. Makes for a busy life, sure, but we’re hoping it will keep our backs strong and our minds more attuned with Mother Nature for years to come. Tree pruning for example gives us a fantastic excuse to get out and enjoy our fine Vermont weather…in February. They say the way to stay happy is to be always working towards a goal (or I think someone said something like that once). Hopefully that’s true since every fulltime farmer and aspiring dabbler has told us that the next season generally starts the day after the last fruit is picked. We hope you’ll stop in for a visit and to share some of the great produce our hometown soil can grow.